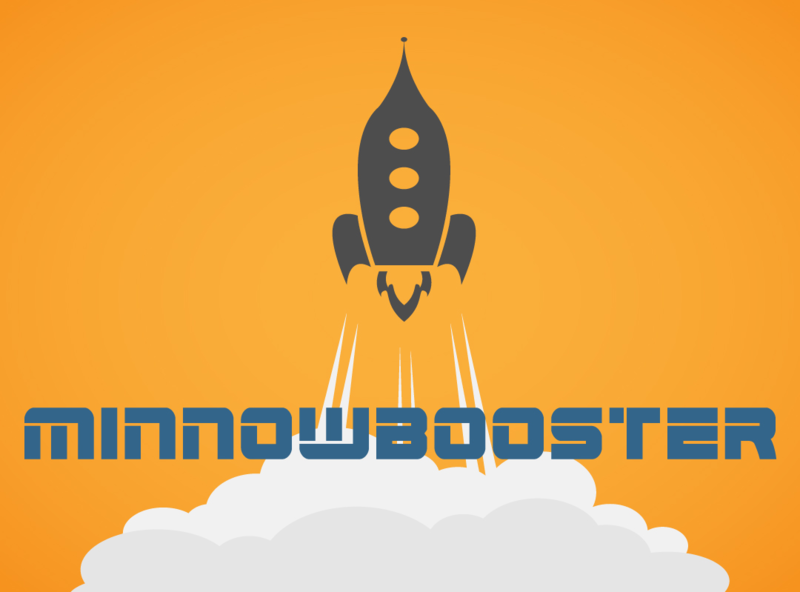 Minnowbooster New Feature: Auto-Claim RewardssteemCreated with Sketch. Hey guys, @techblogger here with some exciting developments brought to you by @minnowbooster. Our service just keeps getting more versatile, with the team adding new features constantly. Today I want to tell you about an important new feature recently added to @minnowbooster: the ability to automatically claim your Steem, Steem Power and SBD rewards! We've all been there, going through our feed, looking at all the new stuff out there, tossing out an upvote here and there, and we forget to check our Steem wallet for our latest payouts. Everyone is guilty of giving lower upvotes than we could have just because we failed to claim our rewards before voting. Now Minnowbooster can automatically do this for you, so you can go on upvoting, while being completely confident that you are giving the strongest upvote possible. To enable this function, let's head over to Minnowbooster and get logged in. Once you are logged in, go up to the "My Account" Button, and select "Edit Info". This will take you into a page where you can set up a few different options. If you are not already familiar with Mentionator, make sure you check that out, and of course, you can also enable selling your vote here as well. But the button we are focusing on is the "Enable automatic claiming of rewards" button, circled below. Just enable this function, authorize it with your active key using the secure Steemconnect service and click the "update" button to save your settings, then just wait for the next auto-claim cycle to kick in. The cycle currently operates about once every 10 minutes and once activated, the service goes in and collects your rewards for you, so you never miss a payout. We are considering tweaking the time period to a few times per day so users don't receive a lot of wallet notifications from frequent auto-claims. I happened to have some rewards sitting in my account when I turned the service on, and sure enough, a few minutes after turning it on, those rewards had been claimed and reflected in my balances. I didn't have to push a button. Best of all, this is not a premium feature, so anyone can use it free of charge. There's nothing to lose here. Just go, get on the service, and never worry about forgetting to collect a payout again. What good is it doing to have those rewards collecting dust waiting to be claimed? Auto-Claim is just the next in a long line of valuable services offered by Minnowbooster! Check it out today! While I appreciate the feature perhaps it would be better if the default claim timer was longer.. Changing from 10 minutes to 1 hr would make a massive difference to blockchain bloat with the size of your userbase.. or perhaps "claim if outstanding rewards are greater then x SP' . I just don't see the point of thousands of minnow accounts claiming a single vest every 10 minutes.. I have been using your services quite a bit, they are extremely helpful and really bring added value to the platform. Steem is what you make of it. Some like the feeling of clicking that button, some find it annoying, especially with how unstable steemit is currently. We at minnowbooster want to give you a choice. Steem is what we, as a whole community, make of it. Let's keep in mind that software code always is an imperfect expression of the intentions of a platform. The right kind of automation frees more time for me to be a human on steem. you guys are simply great! genius. Ask permission for translate to my language Indonesian. exponential curation based on weight! It can (should be) manual, but if a certain weight is gained (aka SP accumulated voting), then the auto voting can kick in (safely) at a prescribed adequate value (if already above a certain value, then there is no need to auto-vote). But if let's say, 2 power users upvote within the first day, then it makes sense to auto-upvote. Disclaimer, a bit off topic... I know. I'd love to read a full fleshed out post on this topic :) That could spark discussion! Would love to read a full fleshed out post on this idea, that could spark discussion. Currently curation rewards are pretty weak and mostly not worth the effort, while enabling behavior that only helps the whales. New here. 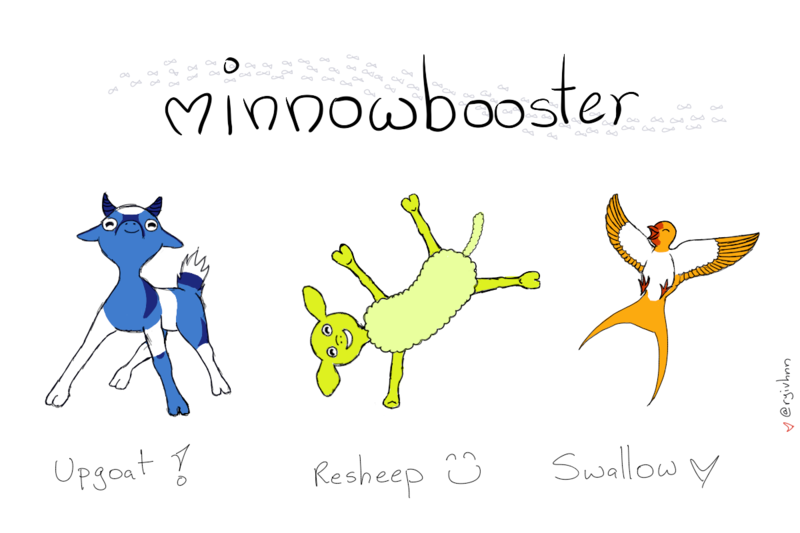 I definitely need to read up on minnowbooster. To this post > Bitcoin Price Technical Analysis: Be Prepared,Retrace Incoming. Would it have anything to do with revealing scamming by your new employee @tech-trends? I have checked it and it seems there was a problem that is now fixed. The system should retry in a bit. Should you be still missing the vote/refund in a few hours, mention me and I manually refund you. so when will SBD be refunded?? I sent 10SBD for boost and received 0.234SDB back and no upvote. Lol kind of a not good trade xD any solution? you sure you got no vote. Check the memo why we returned some of it. And give it a few minutes for the vote. If it is still missing talk to us on discord and we refund. 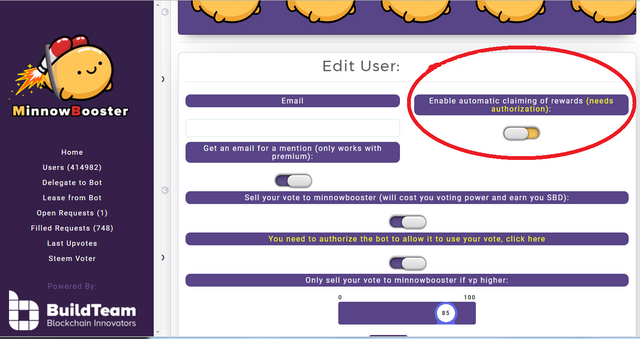 I really love minnowbooster always works good but this time..
Hi, Nice to meet you minnowbooster, very good, i like it, don't forget to visit my profile @preciousboy. I'm new here. I have upvoted & followed you. I hope you will also follow me, Upvote & Resteem my Post. Great article! Thanks for explanation! This post has been ranked within the top 10 most undervalued posts in the first half of Oct 25. We estimate that this post is undervalued by $78.18 as compared to a scenario in which every voter had an equal say. See the full rankings and details in The Daily Tribune: Oct 25 - Part I. You can also read about some of our methodology, data analysis and technical details in our initial post. Congratulations @minnowbooster, this post is the third most rewarded post (based on pending payouts) in the last 12 hours written by a Superhero or Legend account holder (accounts hold greater than 100 Mega Vests). The total number of posts by Superhero and Legend account holders during this period was 18 and the total pending payments to posts in these categories was $1031.17. To see the full list of highest paid posts across all accounts categories, click here. Nice work BuildTeam! A reward sweeper was my very first steem bot and now MB makes it a clicky option on a website. Yes - everybody gets the convenience tools. It not a difficult thing to claim the reward. Moreover, If it is late to claim, will I loose the money? no. so I don't think it is an exciting features. But , anyway, some people might find it helpful. I always like this, as me used the leasing sp here! This is just great because it also helps people get payouts automatically and ensures even if they do not login for various reasons like falling sick, right? Exactly. It will claim rewards without you having to do something. 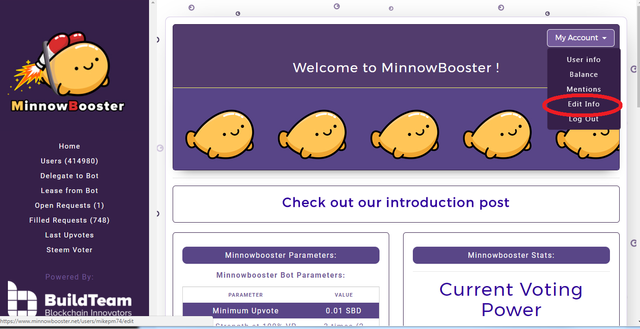 thanks minnow booster we made our buying upvotes job very easy. Seems like we never miss the upvote from you with this new feature. I answered you on discord :) we are pretty clear with what works and what does not. Sorry if that caused you confusion. I couldn't log in, site keep saying connect callback. @minnowbooster, off topic question about investing steemit with you: What does it mean that effort to pay back the original investment is on a "best effort" basis? You might not do it? It means in the worst case we have to power down the account and that takes a long time. Best effort basis means we try what we can to make it as fast as possible but we only do what we can, not more. Awesome thanks. Just making sure it's didn't mean "we might not ever play you back". Thanks for all the hard work, it's good stuff. Another wonderful update from the minnowbooster team. Thanks for helping so many minnows along the way, and this is a generous way to automatically help those who forget to receive their weekly rewards, therefore helping the community just a little bit more!